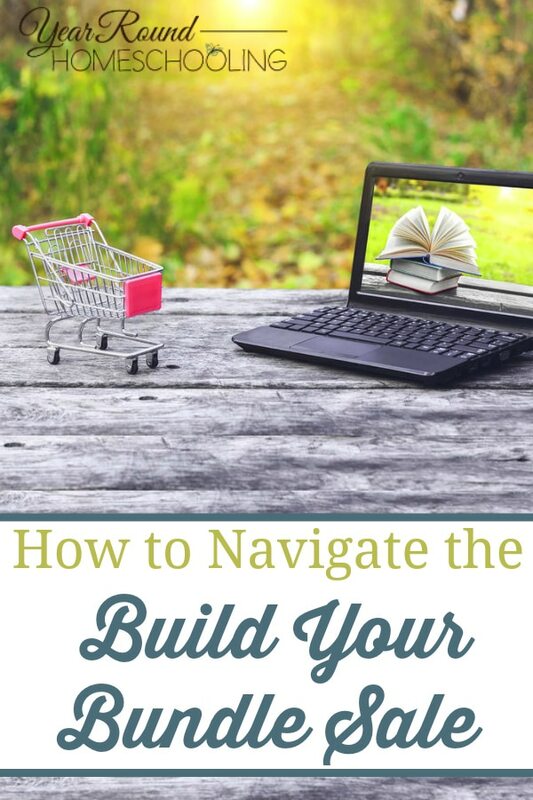 Each year when the Build Your Bundle Sale arrives I hear from homeschool moms like you that it is both exciting and overwhelming. You only have one week to scour through over 200 amazing digital homeschool curriculum resources and that puts a lot of pressure on you during your already busy days. I completely understand. That’s why I decided to share a few tips and a brief synopsis of ALL 20 bundles, the memberships and courses included in this year’s Build Your Bundle Sale. I truly believe in this sale, that’s why I continue to participate and share it with you year after year. 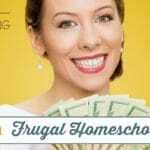 As a frugal homeschool mom, I’ve found that I’m able to provide my kids with an amazing education while following a child led homeschooling method and save money while doing so by shopping the Build Your Bundle Sale. Our children’s education is in our hands, but we don’t have to do it all on our own. Take time to ask the Lord to guide and direct you as you begin shopping for your digital homeschool curriculum. 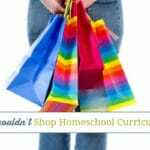 These will help you create a list of digital homeschool curriculum you need and want from this year’s BYB sale. They will also help you keep track of your budget as you’re shopping. The beauty of the Build Your Bundle Sale is that while there are pre-assembled bundles for you to choose from that is NOT your only option! 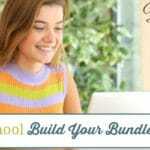 You can build your own bundles by selecting the resources that YOU need and want for YOUR homeschool! Make sure you take a break after each one, if you click through one after another after another you’ll become overwhelmed. I encourage you to look through all of the bundles because often there are resources in different bundles than you would normally look at. Often you can easily adapt resources you’re interested in for your kids no matter they’re age or what bundle they are in. Don’t just hang on to the original list you made because it likely has been erased, scratched out and rewritten countless times…if you’re like me it has. Create a fresh list featuring your NEEDS and your WANTS. Be sure to separate them so that you can easily make a decision if you must choose between one item or another. Don’t forget — the Build Your Bundle Sale offers Buy Two Get One Free for ALL bundles (including Build Your Own)! This year’s Build Your Bundle Sale ends at 11:59pm EST on May 14th. While I do not suggest waiting until the last day of the sale, I do highly recommend you taking time to pray and talk with your family about the digital homeschool curriculum you’re considering purchasing before clicking buy. There’s nothing worse than making an impulse purchase and finding that 1) your kids don’t like the topics or subjects you’ve selected and 2) spending money you didn’t need to. Remember — the Build Your Bundle Sale offers Buy Two Get One Free – if you buy two pre-assembled bundles you get one free and if you buy two build your own bundles you get one free. There have been times when I’ve seen a digital homeschool curriculum and thought that my kids would for sure love it and I’ve been wrong. So, now I always have them look through everything with me before making my final decision. I’ve been surprised by topics and subjects they have actually picked out on their own as well! Please note, there is A LOT of information below. Take your time to go through and process it. If you’d like more specifics on a bundle’s details simply click the title of the bundle to be taken to its page on the Build Your Bundle site. Featuring life skills like – cleaning a fish, checking the oil, making a pie from scratch, candle making and more. A one-credit high school life skills course designed to raise sons to be strong leaders it encourages weekly mentoring time with dad. In addition to weekly mentoring time with mom this course teaches young women how to manage their future homes through Bible study, living books, hands-on projects and more. The Character Bundle is full of high-quality Biblical resources to use in your personal Bible time, family Bible time or homeschool Bible class. Biblical character studies covering attentiveness, peacefulness, joyfulness, goodness, flexibility, gentleness, generosity, fairness, orderliness, forgiveness, thoroughness and discretion. Bible based workbook, journal and printables to enable you to take steps to grow in love for your husband. Over 800 pages of resources including Scripture reading plans, prayer selections, faith journaling and hymn study pages, Scripture reading plan study pages and much more! Pray through 8 areas of your family and homeschool life using the worksheets, prayer journal, Scripture coloring pages and 30 day prayer calendar included in this eBook. The Charlotte Mason Bundle features a full history curriculum for ALL grades, nature studies, copywork, a Shakespeare online unit study and much more! A full curriculum History guide for all grades following a classical rotation and Charlotte Mason inspired with a focus on living books, copywork and narration. This curriculum will take your student from K-2nd grade in history, language arts, science and fine arts. A Modern Charlotte Mason offers 180 daily lesson plans incorporating poetry, picture study, Shakespeare, recitation and composer study into an afternoon “tea time”. Featuring: Eve, Noah, Gilgamesh, Imhotep, Daniel, Cyrus the Great, Eratosthenes and Constantine. A self paced, online unit study for students in 2nd-6th grade, but it easily adaptable for older students too! The Early Learning Bundle #1 includes Skill Trek’s express Preschool mini bundle, a complete Preschool phonics curriculum, craft resources, Kindergarten math and much more! Including life skill lessons on stranger danger, tying shoelaces, washing your hands, making your bed and more. A full year preschool age program that teaches your child each sound that every letter makes combined with penmanship skills. This curriculum includes a Teacher’s Manual, Student Workbook and Phonics Cards. The Early Learning Bundle #2 includes a full year Kindergarten phonics curriculum, reading curriculum, montessori game pack, playdough mats, interactive flip books and much more! A full year Kindergarten age program that teaches your child each sound that phonetic combinations make combined with penmanship skills. This curriculum includes a Teacher’s Manual, Student Workbook and Phonics Cards. Featuring 20 thematic units for preschool children (ages 3-5) aligned to Core Knowledge Standards. Students will focus on the Fruit of the Spirit in Galatians as they master letter sounds, math concepts, color and shapes and more. The Early Learning Bundle #3 features a semester of kindergarten curriculum, preschool skills fun book, dotted alphabet pages and more! Including a homeschool preschool cheat sheet, preschool skills checklist and preschool supplies checklist. A toddler based program that uses activities about animals to introduce the alphabet, numbers, shapes and colors. The Elementary Bundle #1 includes hands-on fraction lessons, a history manuscript handwriting program, american history family package, one semester of first grade curriculum, rocks and dirt study, math interactive notebook and much more! An A-Z history through the eyes of animals study. The Elementary Bundle #2 features a vocabulary curriculum, solar system study, a 1 year geography curriculum, math cheat sheets, grammar reference bundle, Skill Trek’s elementary life skills bundle and much more! Includes the following life skills; making sandwiches, not interrupting, learn the months of the year and more! The Elementary Bundle #3 includes complete reading curricula, word family readers, language arts curriculum, presidential notebooking project, united states study, weather study and much more! The Fine Arts Bundle features art history studies, audiobooks, a famous artists online course, classical music course, poetry courses and much more! Covering five jazz legends; Dizzy Gillespie, Nat King Cole, Ella Fitzgerald, Miles Davis and Duke Ellington. This course covers; Anthony Van Dyck, Gilbert Stuart, John James Audubon, Thomas Cole, Thompkins Harrison Matteson, Frederic Edwin Church, Winslow Homer and Norman Rockwell. The Homemaking Bundle includes a mega organizer, fitness program, Skill Trek’s homemaking edition, homemaking planner, audio series for burnt out moms and more! Includes the life skills; meal planning, budgeting, decorating your home, cooking measurements and more! Get Out and Live — G.O.A.L. A 3.5 hour audio program and eBook teaching you to take steps to get out and live life no instead of waiting for “someday”. The Homeschool Helps Bundle #1 features homeschooling methods guide, educational charts, online conferences, homeschool planners and much more! Learn what worldschooling is all about through 32 video lessons spanning 8+ countries! The Homeschool Helps Bundle #2 includes a loop scheduling workshop, the Essential Year Round Homeschooling Planner, Lifeschooling conference videos, encouraging eBooks, homeschool budget course and more! Discover the true purpose of an education, Biblical philosophy of education and how to apply a Biblical worldview to core subjects. 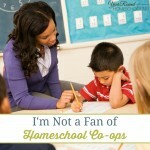 Receive practical tips and encouragement to help you refocus on your why of homeschooling. Includes pre-planning pages, homeschool curriculum shopping section, monthly/weekly and quarterly planning pages, grading charts, monthly, weekly and quarterly review pages and MUCH MORE! This course includes a 1.5 hour audio program and workbook. The Parenting Bundle includes a family Bible study on friendship, screen time training course, parenting helps, family vision boards and more! Learn how to find the natural flow of your family, identify routine robbers, create a routine rhythm and much more! This course includes 12 audio presentations that will walk you through the process of identifying an area of weakness and then naming the character quality that needs to grow in your child’s hear. The Special Needs Bundle includes a memory skill workbook, workshops and more! Through this workshop learn why it’s important to cross the midline, 5 midline movement exercises and more! Through these four classes you’ll learn about the core underlying weaknesses associated with many learning struggling such as dyslexia, dysgraphia, dyscalculia and ADHD. The Thematic Units Bundle features a US geography and history study, book report pack, Bible quizzes, themed writing prompts, North America ELA unit and much more! The Unit Studies Bundle includes country study notebooking pages, Manatees unit studyartists lapbook, Veteran’s Day unit study and more! A fun notebooking project the helps students learn the countries of North and South America, the West Indies and Oceania. This resource includes materials to create 6 differeng lapbooks for the circulatory, nervous, respiratory, skeletal, muscular and digestive systems. The Upper Grades Bundle #1 features a percents resource, world religions course, online book club, art history curriculum, high school vocabulary, Skill Trek’s Jr. High edition and much more! Includes the following life skills lessons; smoke detectors, hiking safely, good nutrition, how to unclog a sink and more! Teach your students all about the life of Paul the Apostle using the Bible quizzes, maps, creative writing and coloring activities in this book. The Upper Grades Bundle #2 includes graphing calculator activities, essay styles course, a one year Bible curriculum, math skills review, Skill Trek’s High School Edition, an Ancient Rome study and much more! A program designed with easy to follow directions for teaching the basics of pitch, rhythm, dynamics and more! Life skills included: how to get out of debt or avoid debt, mowing a lawn, simplifying complex tasks, serving your community, giving 110% and checking a car’s fluids. There two history resources, a geography bundle, a full reading curriculum, copywork, two homemaking resources, a themed unit study, language arts supplements and math products. This bundle is geared elementary students with some resources suitable for early learners as well, but there are no upper grade materials in the mystery bundle. This live online interactive course is taught from a Biblical perspective to Middle and High Schoolers and the classes are 60/minutes once a week for 4 weeks. Enhance your children’s music class with the access to online games, song and activity sheets that coordinate with over 180 online video lessons. You can read about how we’ve used Hoffman Academy in our homeschool here. Through the Unbreakable Faith course you’ll learn of the infinite excellence of God’s perfections, it will expose unbelief as irrational and unscientific blind faith and demonstrate the impossibility of life and the universe without God. Your high school students can at completion of this course receive a full credit. With this all access, lifetime pass you get 25+ videos (and lots of bonuses!) from top Christian homeschooling and parenting speakers. You’ll receive exclusive, Christ-centered parenting, encouragement to help you homeschool. This online video course features 18 short videos to enable Christian parents to build a strong foundation. You’ll receive a workbook, printable prayer journal and a bonus video on First Time Obedience. The lifetime, all access pass lets you view the 40+ expert interviews whenever is convenient for you, from the comfort of your home. Discover winning strategies, mistakes to avoid and experience to help you parent your teens toward a lifelong relationship with Jesus. Extend your Teach Them Diligently experience to year round! Weekly video content, audio recording library access, monthly “virtual meetups” with other members of the TTD365 community and much more! This is a 6 week class featuring 30+ lessons filled with hands-on activities, group coaching and mentoring and much more! Over the course of 4 weeks busy moms will be receive weekly video lessons that teach you how to blend your styles, choose the best colors for your body type and create a closet of clothes designed uniquely for you. You’ll also have access to a private Facebook group with the creator, receive a workbook and more! This 6 month membership featuring the entire Skill Trek software is ONLY available through the Build Your Bundle Sale. There are 18 categories covering a wide range of life skills for kids of all ages! There are over 300 self paced, online classes grounded in a Biblical worldview available to every student in your home through this 1 year membership at 50% off. With a 1 year access to this music program you’ll be able to expand your child’s musical skills from the comfort of your home. You’ll have access to all of the series within the membership including; Preschool Prodigies, Primary Prodigies, Recorder Prodigies, PsP Melodies and Holiday Prodigies, featuring 200+ video music lessons, printable workbooks, songbooks, lesson plans and more! Bring your kids (ages 1-7) together through 90+ musical activities featuring song, dance and rhyme with a 3 or 6 month membership at 50% off. Making your homeschool plans, keeping records and printing reports are easy with 50% off a 1 year membership. Phew! I know that is A LOT of information, but I hope that having a synopsis of all the bundles, courses and memberships in one place will make this year’s Build Your Bundle Sale a lot easier for you! It may even be a little bit more fun for you if you use the tips I shared too! What do you love (or dislike) about the Build Your Bundle Sale?